Among several firsts, the Jio MAMI 18th Mumbai Film Festival with Star announces a new category titled ‘Spotlight’. Spotlight is a carefully crafted segment of films that recognises Indian cinema’s historical trajectories, celebrates its creative impulses and explores its futures. 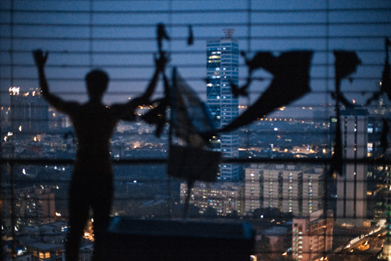 The section kicks off with the world premiere of Vikramaditya Motwane’s ‘Trapped’. Director Priyadarshan’s Sila Samayangalil, Buddhadeb Dasgupta’s The Bait and Adoor Gopalakrishnan’s Once Again (Pinneyum) will be screened at the festival along with Kaagaz Ki Kashti, a documentary on the life of singer Jagjit Singh directed by Brahmanand Singh also with an anthology of short films, Shor se Shuruat by budding directors like Supriya Sharma, Arunima Sharma, Rahul V. Chittela, Pratik Kothari, Amira Bhargava, Annie Zaidi, Satish Raj and Kasireddi. Spread over the duration of the festival, these films under Spotlight are judiciously selected to highlight various human emotions. The 18th edition of the Jio MAMI with Star will screen over 175 films from 54 countries including features, documentaries and short films at the festival. Jio MAMI with Star will also host India Premiere of National Film Award-winner Priyadarshan’s Tamil film Sila Samayangalil. The film is a social drama which silently gives away a message on AIDS awareness. With humorous and an emotional narrative, it shows how AIDS has always been looked down upon by everyone. Bhramanand Singh’s elegant story telling in Kaagaz ki Kashti will also be showcased during the festival and will leave its mark on the audiences. The film, a biography on the legendary Jagjit Singh, traces the life journey of a down-to-earth, small-town boy, who made it big by breaking through the norms and revolutionising the Ghazal scenario, by texturing traditional Ghazal singing with western instrumentation and making it simple and hummable, enticing new listeners into becoming Ghazal fans. Adoor Gopalakrishnan’s film revolves around a ghastly murder transpired in Kerala. Life in exile, without love, and without a relationship is no better than death itself. This predicament of a person who may not necessarily be a villain sets us thinking about questions of our concept of happiness, identity, love, human relationships and values that guide us through life. The film is woven around three characters: a hapless nomadic girl who is a street circus performer, a seemingly cranky postman who decides to live his life on a tree and of a ‘king’, a royal descendant who thrives on his long lost glories. The worn out ‘king’ has picked up the hobby of hunting from his forefathers. In a frenzy to prove himself in front of his mistress and to the world, he desperately tries to kill a wild tiger but fails. He finally decides to put the bait to trap the animal. The film is an anthology of mentored shorts around the theme of Shor (Noise). The directors of these short films have been mentored by stalwarts like Mira Nair, Shyam Benegal, Imtiaz Ali, Zoya Akhtar, Nagesh Kukunoor, Sriram Raghavan and Homi Adajania. The varied stories are weaved around the themes of raising your voice, freedom of speech in India, an imaginary world where there is an absence of sound and colour collide and the incessant social media noise and its impact on personal space. The Jio MAMI 18th Mumbai Film Festival with STAR Unveils its programming for the festival this year!